Louise Engel and David Johnson are one of the nicest couples in the wine business. You’ll find them at Feathersone winery just up the hill from Vineland. During the summer months they employ sheep to eat/prune the lower leaves on the Riesling vines, thereby exposing the fruit to more sunshine. Hence the name of the wine. 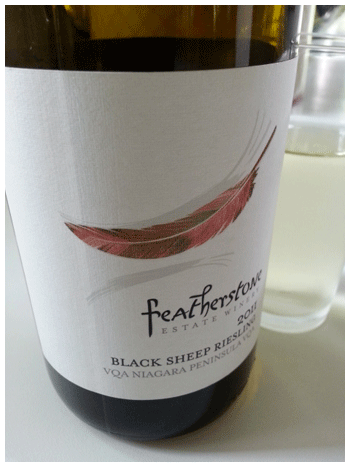 It’s typical Niagara Riesling – razor sharp tartness, with just a whiff of fruitiness. Super refreshing. Low alcohol too. Perfect hot day, slow patio lunch partner.